While most people fail to make the distinction, particularly in the United States, a funeral is not the same thing as burial. The latter is purely a common form of final body disposition that addresses the need of what to do with the physical remains after death occurs in a practical, respectful manner. There are several available forms of final body disposition in addition to burial below ground in a cemetery, such as cremation, body donation, burial above ground (i.e., in a mausoleum), or alkaline hydrolysis. In other words, the chosen method of final disposition only addresses "the needs of the dead." Typically held soon after death—often within one to seven days—the form of a funeral can vary greatly based upon the personal and religious preferences of the individual and/or his or her survivors, cultural or societal norms, and the circumstances surrounding the death, if necessary. As noted above, however, the function of a funeral is essentially universal regardless of its appearance and the rites, rituals, and ceremonies it includes. 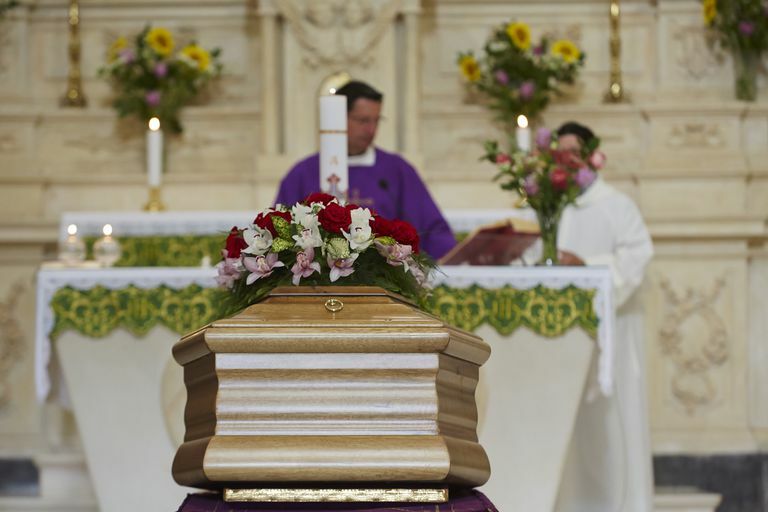 While a funeral usually occurs in conjunction with the presence of the deceased's physical remains, such as during a casketed funeral service, this is not required. Families often arrange and conduct a meaningful memorial service to honor and remember the deceased long after burying or cremating the individual privately. A funeral service and a memorial service serve the same function or purpose, but services conducted without the physical presence of the deceased are typically referred to as a memorial service. The term funeral derives from the Latin word funus, meaning "funeral, funeral procession, burial rites" or "death, corpse." The word initially referred specifically to the burial of the dead until the early 1500s, when its meaning broadened through usage to refer to the ceremony surrounding burying someone who died. How Old Is the Art of Embalming?